It's this time of the year again! This time when it's getting fast after 5 - 4 - 3 - 2 - 1 - KICK IT! On August 18th we'll rock the RAD RACE Battle again on the Mönckebergstraße in Hamburg. 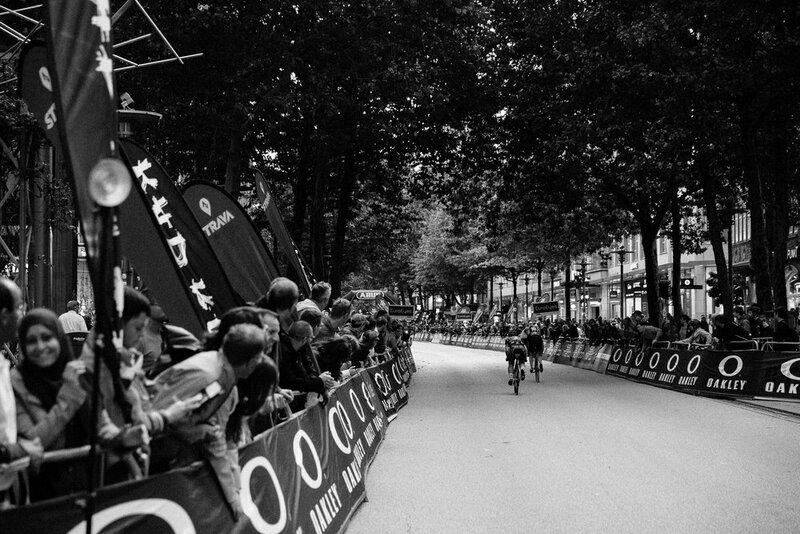 Thousands of people who normally go shopping on this street will stop and cheer for the fastest riders. The track is just 200 meters long. 200 meters of thrill. Which bike is faster in the one on one battle? Roadie or Fixie? Which gear to choose? How often can one shift? Left side or Right side? So many questions about these 200 meters. Our motto “No matter what kind of bike” is also made possible for the RAD RACE BATLLE SPECIAL OLYMPICS in Hamburg. This year our goal is to make the event even bigger and give our special riders the plattform and chance to have an epic fight with thousands of spectators. At 3pm this race will kick off! BIG NEWS: Justin Levene is flying in from London to show that he can not only suffer through the Alps but also sprint through the city of Hamburg. At 5p, we'll start the first qualification race. Man vs. man! Woman vs. woman! The faster one get's to the next round. 200 meters full of adrenaline, speed and ambitions - who will be the fastest one in the finals? If you are a winner or not... or just a spectator - after the race is party time! The official after party starts at 10pm at RADRAUM, Valentinskamp 28A, 20355 Hamburg. One important thing you should know! We will show a Sneak Preview of the cycling documentary “IN VELO VERITAS”. Our RAD TRAVELS from Rome to Milano.